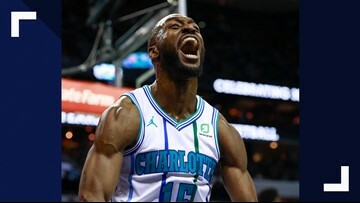 Kemba Walker's 23 points led Charlotte to victory in a must-win game to keep their playoff push alive heading into the season's final game. 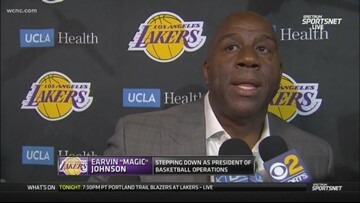 Earvin "Magic" Johnson announced Tuesday that he is stepping down as present of the Los Angeles Lakers. 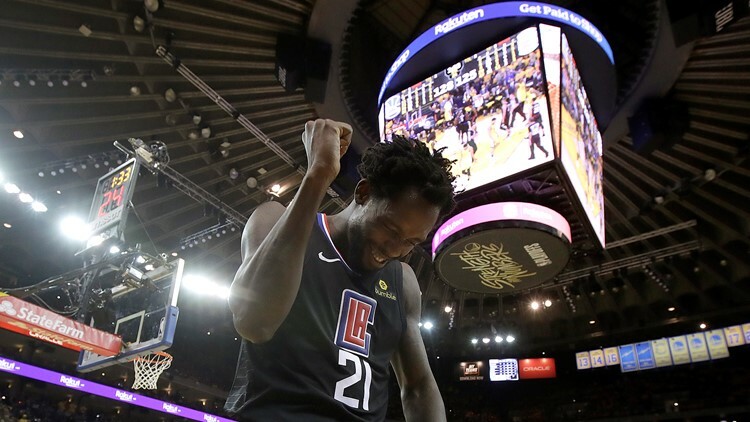 Johnson's decision came as a shock, with the former NBA great saying he hadn't even told team owner Jeanie Buss. 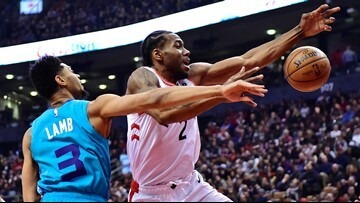 Jeremy Lamb's winning shot came less than two weeks after he hit an improbable half-court buzzer-beater to shock the Raptors in Toronto in one of the craziest endings in the NBA this season. 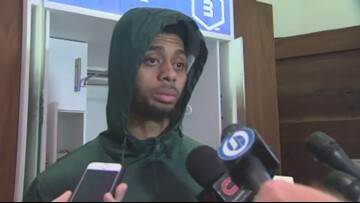 The Toronto Raptors are hoping they don't have to see Jeremy Lamb in the playoffs. 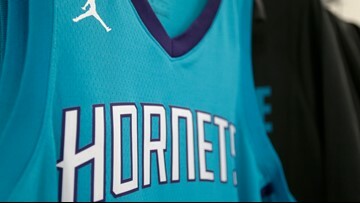 The Charlotte Hornets will be the 22nd NBA franchise to join the official NBA 2K esports league. 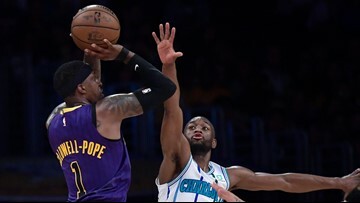 LeBron James had 27 points and nine assists, Kentavious Caldwell-Pope added 25 and the Lakers dominated to snap the Hornets' four-game winning streak in Los Angeles. 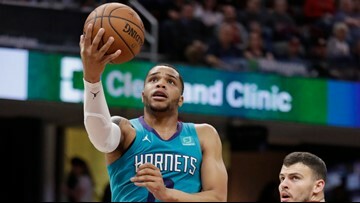 The Hornets will make their first trip to France in 25 years as they take on the Milwaukee Bucks in Paris next January. 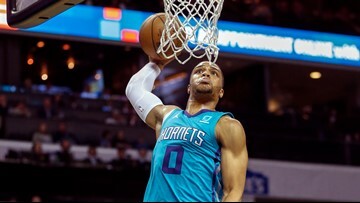 Walker scored 11 of his 38 points in the extra period to lead the Hornets to their season-high fourth straight win, 125-116 win over the San Antonio Spurs. 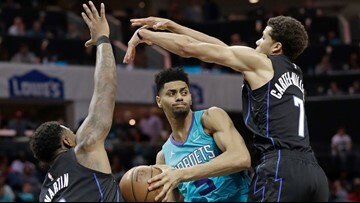 Walker scored Charlotte's first seven points in the extra period, and went 4 of 4 from the field with a pair of clutch 3s. 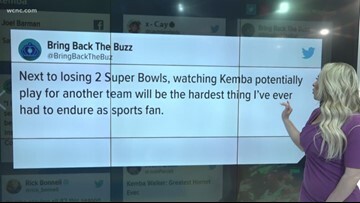 It was Kemba Walker's 23rd game of 30 or more points this season. 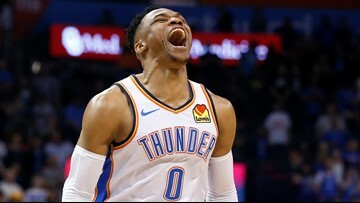 Charlotte won its second straight, improved to 33-39 and kept its faint postseason hopes alive. Rookie Miles Bridges shined on his 21st birthday, scoring 11 points and grabbing 12 rebounds for his first career NBA double-double. 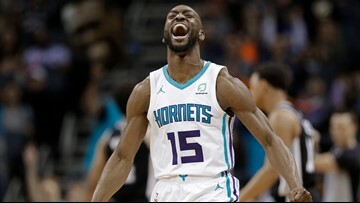 Kemba Walker led Charlotte with 31 points in the win.